Intestinal schistosomiasis is due to S. mansoni, S. japonicum or S. mekongi. Adult male and female flukes (up to 2 mm in length) live as pairs in the mesenteric veins. The transmission of intestinal schistosomiasis from one patient to another can only take place indirectly. Eggs with a fully developed embryo (miracidium) are passed with the faeces and hatch when in contact with water. Miracidia must enter a freshwater snail (Biomphalaria spp. for S. mansoni, Oncomelania spp. for S. japonicum) for further development and asexual proliferation. The resulting forked-tailed cercariae are infectious for humans. They attach to the skin and bury themselves actively into it, shedding the forked tail. 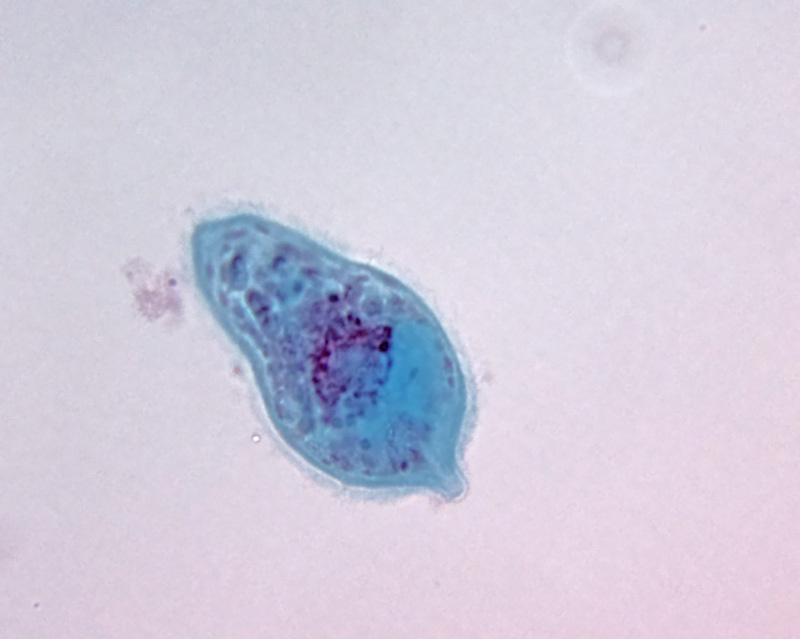 The maturation of cercariae to adult parasites involves a complex migration through the body and additional development. 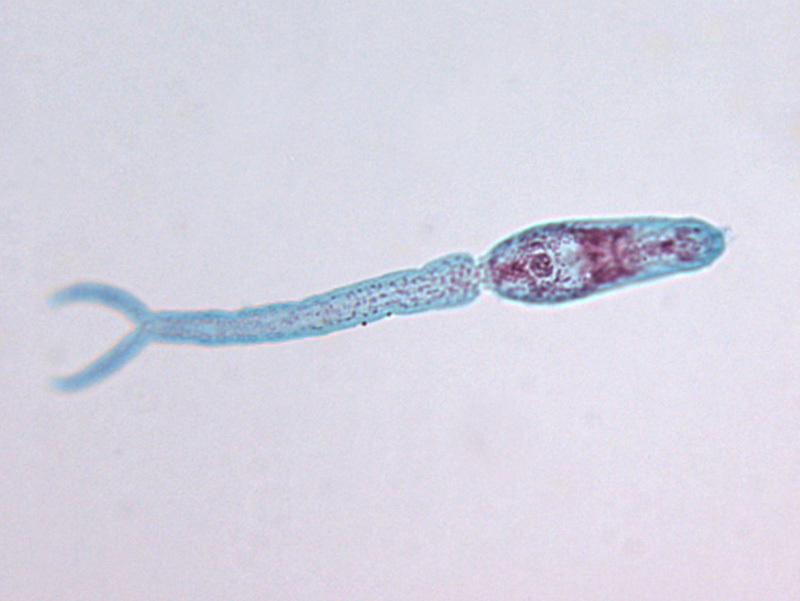 In the skin, the tailless cercaria becomes a schistosomulum. Via lymph vessels or the venous blood circulation through the heart, schistosomulae reach the lungs in approximately 4–10 days. They migrate further against the blood flow into the liver. 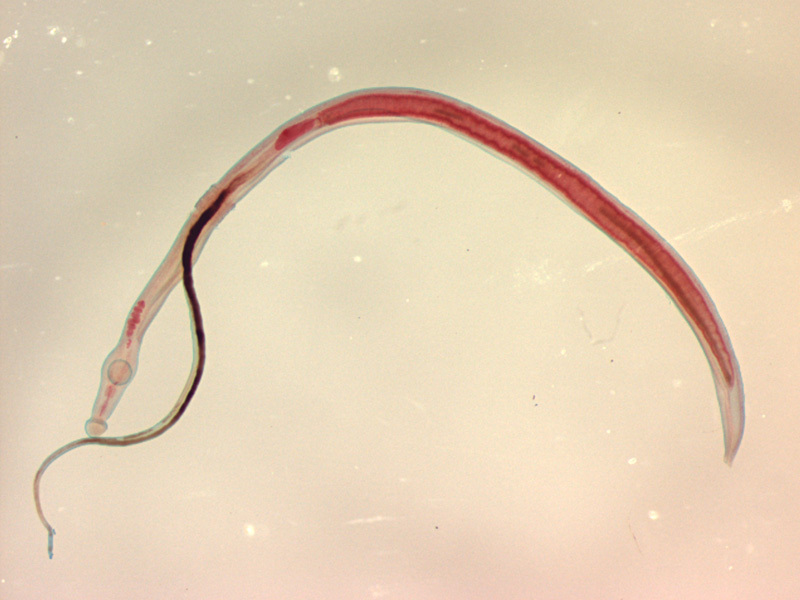 The pairing of the sexed worms (an exception among the generally hermaphroditic trematodes!) leads to sexual maturation. 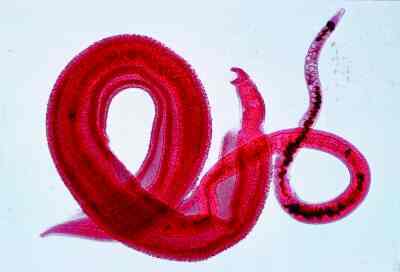 Paired worms migrate into the mesenteric veins. Adult worms have an average life expectancy of 6–10 years. The deposition of eggs begins 5–6 weeks post-infection.